People with eczema suffer from red patches on the skin and scalp. These red patches are often inflamed and itchy, causing a lot of discomfort to the afflicted. Good thing the best shampoo for eczema exists. However, not all brands in the market are suitable for your skin type. Read on and find out which of the featured products here may be best for your scalp. JASON Natural Cosmetics Dandruff Relief Shampoo combines rosemary, olive oil, jojoba oil, and colloidal sulfur to treat eczema in the scalp. It relieves the user of itchiness and flake buildup, while moisturizing the hair follicles. It effectively controls dandruff and keeps it from coming back. However, it makes the hair dry and produces a slight burning sensation in the scalp as you wash. It’s not for people with colored hair. Exederm Shampoo deeply cleanses the hair yet doesn’t have harsh and irritating chemicals to treat eczema. It leaves the scalp looking and feeling healthier, thanks to its low-foam formula and the absence of highly toxic substances. Use this product sparingly as it may make the hair oily and sticky. Babo﻿﻿ Botan﻿icals Moisturizing Sh﻿ampo﻿﻿﻿o is shampoo and body wash combined. It’s good for babies as well as for adults. It gives luster to the hair, and makes it softer and smoother. It’s an effective shampoo for treating eczema. This 12-oz bottle contains the natural goodness of rosemary, jojoba oil, and olive, and is balanced by colloidal sulfur that treats dry, flaky, and itchy scalp. While rosemary improves the quality of the skin and scalp and leaves the hair shiny, colloidal sulfur is considered a natural remedy for various skin and scalp conditions such as psoriasis, acne, seborrheic dermatitis, and eczema. It is an excellent antioxidant. J﻿ojoba o﻿il, on the other hand, is known as a natural skin and hair conditioner. It seals in the moisture in the scalp as it counters the drying effect of washing your hair every day. It also counteracts the formation of scalp acne. Additional ingredients are hydrolyzed wheat and patchouli oil. Another ingredient in Jason Natural Dandruff Relief Shampoo is the methylsulfonylmethane (MSM), that conditions the scalp, intensifies the soothing effect of the shampoo, and relieves the user of itchiness. MSM also locks in the moisture in the hair while controlling dandruff. This shampoo is highly recommended for people with eczema, seborrheic dermatitis, and psoriasis. The product cleanses gently and complies with FDA standards. 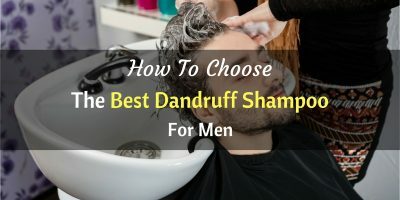 It does clear away dandruff, yet smells strong during wash. However, this should only be used thrice a week, or as indicated by the doctor. Otherwise, it might strip the hair of its natural oils, resulting in dry hair. The 8-oz shampoo for eczema is good for sensitive skin and scalp, for it cleanses the hair well yet is devoid of harsh chemicals and synthetic ingredients. The ingredients are unlikely to cause irritation. A winner of the National Eczema Association Award, Exederm promotes and gives you a healthier scalp. It reduces itchiness – perfect for people with severe scalp problems. 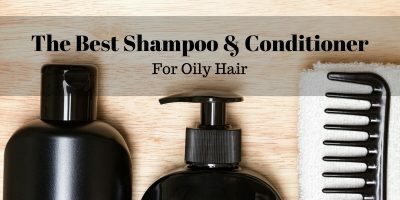 It also is a low-foam product that is free of sodium lauryl sulfate (SLS) and cocamidopropyl betaine (CAPB), two of the worst and most irritating ingredients in hair products. Exederm is perfect for those with very sensitive skin because the product doesn’t contain artificial color, fragrance, parabens, and propylene glycol, which could only worsen the condition of the scalp. However, this is not the product for you if you are looking for instant cure. It works only when you use it on a regular basis. You have to practice restraint as using too much of Exederm might make your hair oily and weighed down. This shampoo for people with eczema has a gentle formulation that is not just good for babies but adults as well. The botanical essences moisturize, nourish, and soothe the skin; calendula oil soothes the dry patches and prevents further flaking, while oatmilk is a natural exfoliant. As a shampoo for both babies and adults, Babo Botanicals can be used by consumers with extra sensitive scalp. The shampoo also makes the hair shinier, softer, smoother, and healthier-looking. You don’t have to worry about the ingredients as they are certified organic. The ingredients are rich in antioxidant and ant-inflammation properties, and are infused with vitamins and minerals. You can be certain that Babo Botanicals shampoo for eczema doesn’t have formaldehyde, DEA, peanuts, soy, dairy, SLS, and parabens. The condition of your scalp may improve if you use this product for several months. It won’t instantly cure you of eczema, but there’s a big chance that it goes away forever after consistent use of this product. Since the product does not contain synthetic fragrances, the product relies on its natural scent --- patchouli. The effect differs from person to person, though we have found the scent to be quite strange and a bit unpleasant. It is good to investigate whether the hair product has been accepted by the National Eczema Association. Choose a product that bears the association’s seal of acceptance. The real answer is no, probably not, unless you use the shampoo religiously. Eczema doesn’t really go away completely, but it’s simply abated for a certain time. Yes, if the product is too harsh on your skin. The best practice is to choose those with mild formulations. Aside from using shampoos for eczema, you may want to apply topical treatment to your scalp. The thing about baby shampoos is that it’s too mild, but it’s good for sensitive and dry scalp. If you have severe eczema, though, using baby shampoo may not help, even if such product targets the same condition. Generally, you should avoid ingredients such as propylene glycol, SLS, CAPB, synthetic dyes and fragrances, and parabens (although there has been a debate about whether parabens are cancer-causing agents). As per evaluation and serious consideration, the best shampoo for eczema is Exederm. The number one reason is that it is a winner of the National Eczema Association Award, which means it’s a recognized brand. It’s also gentle enough for the hair and doesn’t contain harmful ingredients that could irritate the scalp. It effectively treats eczema, and if you use it continuously, it may keep the itchy scalp at bay. The speed by which your condition is treated also depends on your skin type and personal hygiene.